Hello! 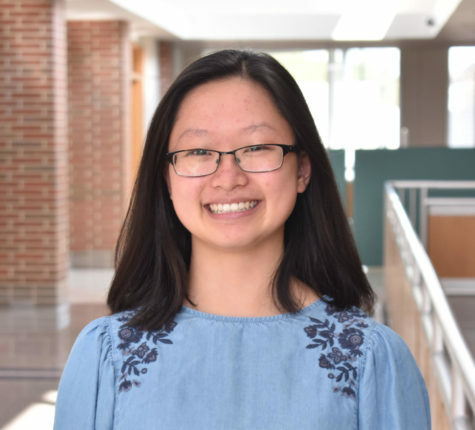 My name is Christina Yang (yes, I have watched Grey’s Anatomy before), one of the five managing editors, and I can’t wait to lead the team that gets you your news this year! Previously, I have been the Feature Editor and Copy Editor. I have produced content for Feature mainly as a reporter, but I have experience taking photos and making graphics (see my work to your right). Outside of HiLite, I am involved in other extracurricular activities such as Mock Trial, Carmel Mayor’s Youth Council, Teen Court, Science for Caring, and GKOM. I also enjoy playing piano and dancing whenever I’m not doing homework, doing extra work I have to do as an IB student, or interning at a local law office. Feel free to check my website to get to know more about me and for examples of my best work.